As Dayton weighs Franken replacement, who may run in 2018? Gov. 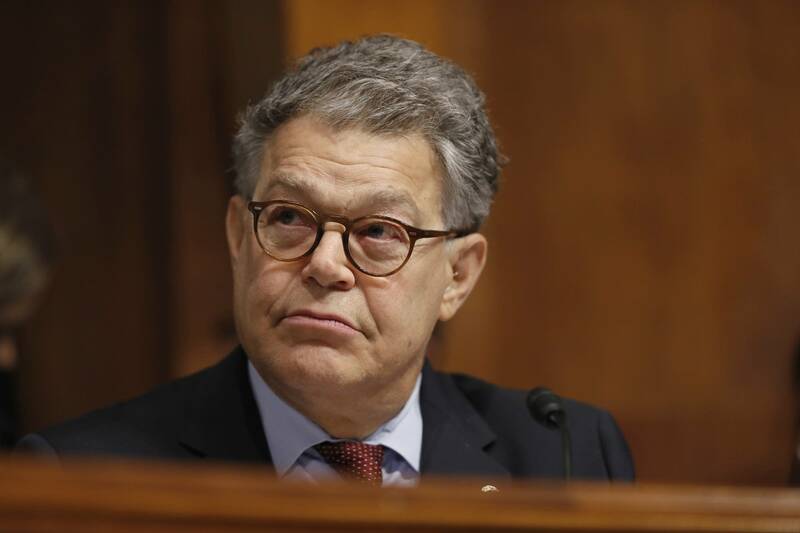 Mark Dayton said Thursday he will decide on and announce within the next few days his pick to fill the U.S. Senate seat that Al Franken is vacating. Dayton has a choice. He can appoint someone who would serve as a temporary caretaker, or someone who wants to face voters next fall for the chance to serve the remaining two years of Franken's term. That special election will draw plenty of interest from Democrats and Republicans. Dayton said in a statement following Franken's resignation announcement that he has not yet decided who he will appoint to fill the vacancy. Multiple news reports say Lt. Gov. Tina Smith is his choice to be a temporary replacement. Minnesota DFL Party Chair Ken Martin said he didn't want to speculate on the governor's plans. But Martin quickly praised Smith as a good fit. "If he were to go with Tina Smith, I think it would be a brilliant choice in a lot of ways. She's been a great lieutenant governor, I would argue probably the best lieutenant governor our state has ever seen. She's a true public servant who's served this state in many roles," Martin said. Before she was lieutenant governor, Smith was Dayton's chief of staff. She has also worked for former Minneapolis Mayor R.T. Rybak and is a former vice president of Planned Parenthood of Minnesota. Martin declined to speculate on potential DFL candidates next year for the open seat. He said he hadn't given it much thought. Minnesota Republican Party Chair Jennifer Carnahan says she expects a lot of interest in the newly added Senate contest, but added it's too early to mention possible candidates. "Obviously there have been names that have been floated out there on both sides. But at this juncture, we haven't been contacted directly by any potential individuals considering." Many political observers are more than willing to speculate. University of Minnesota political science professor Larry Jacobs sees former Gov. Tim Pawlenty as well suited to get back into politics and well connected in Washington, after his stint as a banking industry lobbyist. "Tim Pawlenty would be at the top of my list for potential Republicans," said Jacobs, who also thinks Republican U.S. House Rep. Erik Paulsen is a possible GOP candidate. Former Minnesota Sen. Norm Coleman ruled himself out Thursday. On the DFL side, Jacobs lists U.S. Rep. Tim Walz, state Rep. Erin Murphy and Attorney General Lori Swanson as possibilities. Walz and Murphy are already running for governor, and Swanson was widely expected to join that race. But Jacobs predicts there will be changes. "I think candidates who are currently battling it out for the gubernatorial nomination in each party may well just switch over and run for U.S. Senate," Jacobs said. "They already have their campaigns up and running. They've got their network of donors in process. They're the most likely and obvious sort of people to look to." A lesser known Republican candidate for governor, Christopher Chamberlin, said soon after Franken's speech that he was switching races. State senators from both parties are also eyeing the contest, since their seats are not on the ballot next year and they would have a free shot at the Senate seat. MPR News political commentator Maureen Shaver said she thinks there are several Republican women in the Minnesota Legislature who would be strong candidates. Shaver's list includes state Sens. Julie Rosen and Karin Housley, House Majority Leader Joyce Peppin and Reps. Jenifer Loon and Sarah Anderson. "Strong women, many who represent the suburbs," Shaver said. "And if Republicans want to turn this 'me too' moment or this movement into having strong Republican women, I think any one of the those would be strong on the top of this ticket." DFL legislators being mentioned as possible Senate candidates include state House Minority Leader Melissa Hortman, state Sen. Melisa Franzen and Rep. Laurie Halverson.